Sports fans visiting New York City will find no shortage of great athletic experiences. Whether you want to check out the city's baseball stadiums, experience the U.S. Open, or check out some horse racing, New York City offers a taste of just about everything. Four baseball teams, representing four of the five boroughs, call New York City home. The New York Yankees play in the American League East at Yankee Stadium in the Bronx. The New York Mets play in the National League East at Citi Field in Flushing, Queens home. If you're looking for minor league baseball, you can catch the Brooklyn Cyclones at Key Span Park and the Staten Island Yankees at Richmond County Bank Ballpark in their respective boroughs. All four stadiums are easily accessible by public transportation from Manhattan. While New York City doesn't have its own football stadium, there are two New York NFL teams -- the New York Jets and the New York Giants. Both New York football teams play in New Jersey, but it's just a few miles from midtown Manhattan and easily accessible by public transportation. New York and New Jersey hosted Super Bowl XLVIII on February 2, 2014. If you're coming to New York City hoping to catch a hockey game, seeing the New York Rangers face off against their opponents at Madison Square Garden is your best bet. Either that, or head to New Jersey to see the Devils play at the Prudential Center. The New York Islanders play at Nassau Coliseum, but it's tough to reach by public transportation. The New York area is home to three professional basketball teams -- the New York Knicks, the Brooklyn Nets and WNBA team, the New York Liberty. If you're more interested in basketball showmanship, you might be able to catch the famous Harlem Globetrotters if they're in town. While boxing in New York doesn't necessarily have the same cache as it does in Vegas, Madison Square Garden has been hosting boxing matches in New York since 1882 when John L. Sullivan defended his heavyweight champion title against Joe Collins. If you're after amateur boxing, New York City has several different options, including Friday Night Fights in Hell's Kitchen. For more details on NYC-area amateur boxing events, check out USA Boxing, Metropolitan Association. Spectator tennis doesn't get better than the U.S. Open, held from late August - early September every year at USTA National Tennis Center in Flushing Meadows Corona Park in Queens. Tickets go on sale in early June and tickets for prime matches go quickly, but there are several free events, including the Qualifying Tournament, Arthur Ashe Kid's Day and Open Practice Day. Take the train to the Aqueduct Racetrack in Ozone Park, Queens to enjoy horse racing from October through May. Technically, the Belmont Racetrack is located on Long Island, but it's accessible from New York City and the Belmont Stakes offers spectators a wonderful horse racing experience in early June every year. 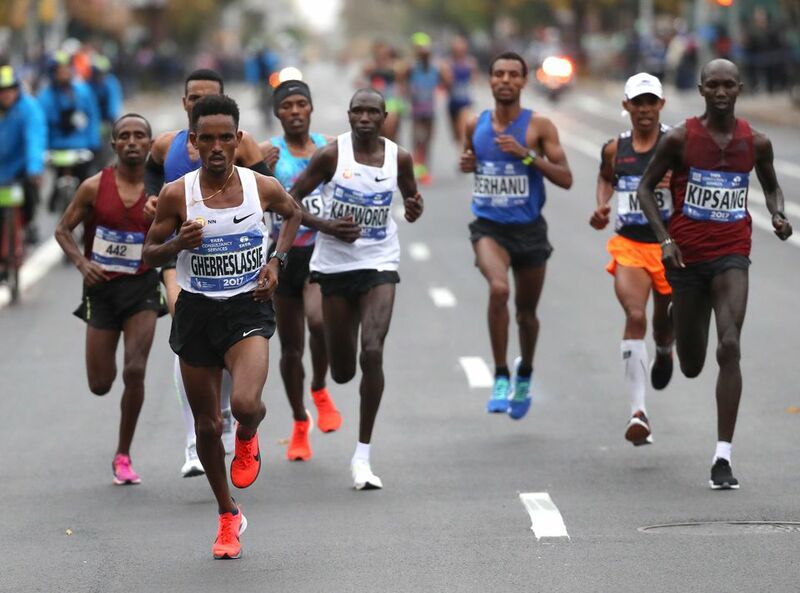 Over two million spectators line the streets of New York City to watch the over 35,000 participants in the ​New York City Marathon. The New York City Marathon takes place the first Sunday in November and has been a New York City tradition since 1970.